“Live onward, together.” A prominent Club Car motto, the phrase embodies who they are, for you. Golf cart Club Cars are beyond point A to point B. They transcend Hole 1 to Hole 18. These golf carts even are about more than the journey. 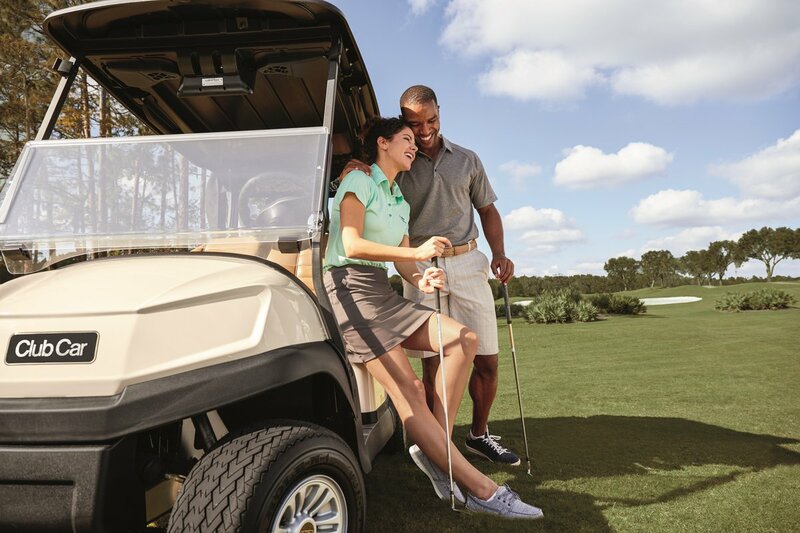 Club Car golf carts are who you’re spending your journey with. On and off the golf course, Club Car hones all of its many features, all of its technology, all of its design into what fits you. They create golf carts that enhance your unique lifestyle, deepen the relationships that matter most to you, and provide comfort both physical and emotional. They do all of this with class and style. Club Car is a long-established (established in 1958, one of the first electric golf car companies) golf cart company designing, engineering, and manufacturing quality golf carts. Club Car is an industry name that is highly respected for their excellence and innovation. They’re the largest manufacturer of small electric vehicles in the world. 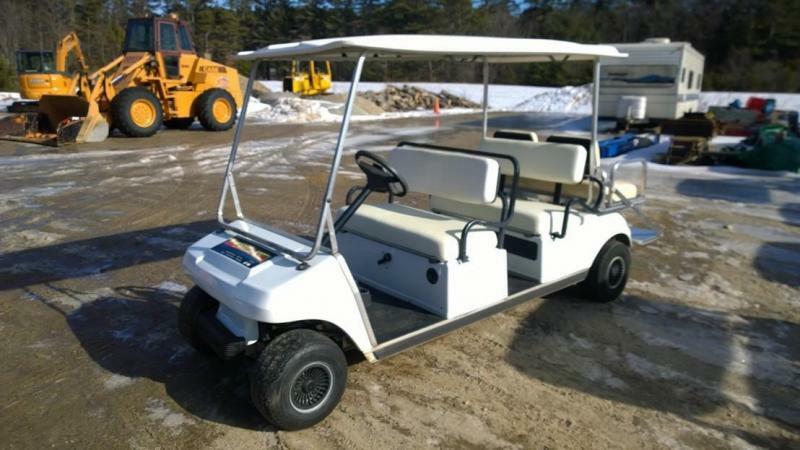 Additionally, Club Car manufactures all of its golf carts with stability, comfort, and of course safety in mind. Like the mission they aim for—the facilitation of family relationships and togetherness—their golf carts all belong to a general family of golf cars. While Club Car makes gas- and electric vehicles for use by golf courses and utility carts for golf course operation, they also make quality cars for individuals. All are available either as an electric or gas Club Car golf cart. The Onward carts are available in two- or four-passenger models. It operates on the golf course and around your neighborhood community. Go places together as family and friends, and bond over your experiences. Onward vehicles boast a sound system, premium seats, and more. You can customize these cars to create the style, color, and accessories you desire. Designed as a stretch personal transportation vehicle (PTV), Precedent golf cars let you ride in maximum comfort. Extra legroom eliminates the cramped feel. Precedent vehicles have four seats; further, all face forward to allow for conversation between friends and family. This is in contrast to most four-passenger golf cars in which the rear seats face toward the back of the cart. Carts in the precedent group are extremely quiet for a pleasant ride in which you and your cart mates can easily converse. These are zero-emissions vehicles. The only footprint you’ll leave on the golf course is in a sand trap or an occasional divot. Most golf cars on the market have a steel frame. Because this has proven to be flawed, Club Car designers re-engineered golf cart frames. The company builds all golf cart Club Cars on an aluminum frame. The structure won’t corrode; it’s entirely rust proof. Its lightweight nature enhances performance. Riding in any golf cart by Club Car is smooth and stable. The engineers at Club Car pride themselves on innovation and technology. They continuously seek to improve the experience of your golf cart, golf game, and time with loved ones. They want to make you happy, and one of the ways they accomplish it is through high-tech enhancements. The Visage Mobile Golf Information System is a cart management system for golf courses that Club Car integrates into its fleet cars. This feature allows course marshals and managers to more easily monitor and adjust the flow and speed of golfers on the course. For you in your own Club Car, this means a less frustrating experience on the fairways. The company’s carts are intricately and technologically engineered. You can appreciate, if not interpret, the scope of this by examining a Club Car golf cart wiring diagram. A wiring diagram illustrates electrical schematics and is an engineering blueprint that tells a detailed story of a cart’s operations. You can find some examples online at sources like Blockbuster Golf Carts. You can view plans for a few different Club Cars, including some for models from the 1980s and early 1990s. 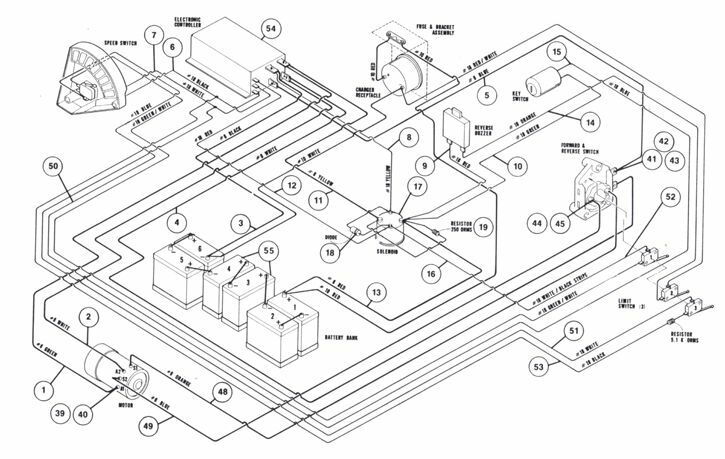 Observe a golf cart wiring diagram with commentary and instruction from Automotive Diagnostics & Publishing. It’s an enlightening video showcasing a technical chart. Charging a Club Car Golf cart has become much less stressful thanks to a new high-tech charging system. All Club Car batteries are innovative and smart to improve both battery life and your experience with your golf cart. Cart batteries are finicky. Overcharging them weakens them and shortens their overall life plus the distance you can go and length of time you can spend using them. On the other end of the spectrum, if you discharge them too far (anything less than 20%), you also damage them in the same way. Monitoring batteries have traditionally been challenging and nerve-wracking. Losing track of time could be an expensive mistake. Appreciating this problem, technicians at Club Car created a charging system that is becoming widely used in other carts. It’s small and lightweight compared to traditional golf cart battery chargers. It costs less to operate than other chargers, too. The charging system works in all conditions, uncompromised by factors such as temperature and daily use and wear. Incredibly, the E.R.I.C. system uses an algorithm to monitor changes in voltage and adjusts its charging behavior accordingly. As the battery’s voltage increases in charge, the system backs off and eventually shuts off. As the voltage decreases during use or between uses, it kicks in to charge. E.R.I.C. charges the batteries when needed and does nothing if they’re full. This is the first battery charger to engage in two-way communication. The unit possesses an external USB port. If something should happen to go wrong, a technician can connect a computer to the charger with a USB cord. The smart charger and the computer begin to communicate, and the technician can listen by reading the data on the computer screen. A Club Car golf cart can do many things for you. Its service to you and the way you live is intentionally designed and continually improved so you can enjoy your time with family and friends. Club Car is about enhancing the quality of life through its technology, innovation, functionality, and style. 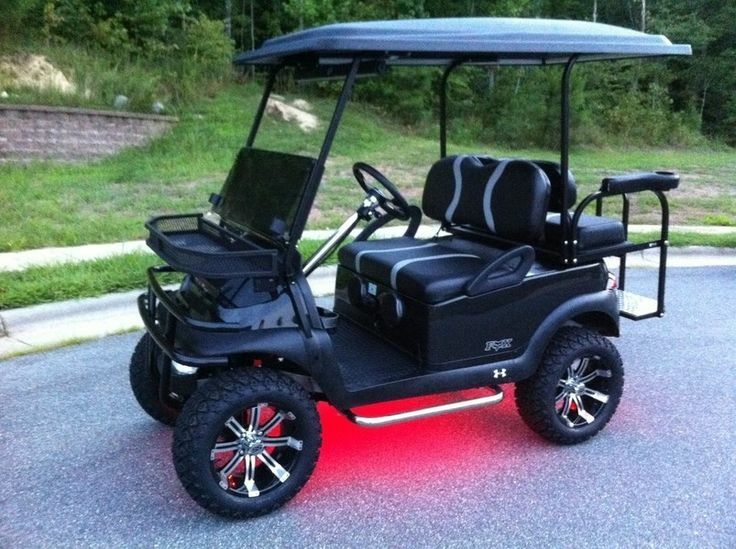 It also seeks to offer as many customization options as possible, so you can infuse your golf cart with your personality. Whichever golf cart you select from Club Car, you’re likely to be beyond satisfied with your experience on the golf course and off. As you golf and joyride with plus transport your kids, significant other, parents, grandchildren, and friends, you’ll be able to focus on them. You won’t have to deal with distractions from discomfort, discharged batteries, a bumpy ride, and the like. Trust golf carts from Club Car. Just like their battery chargers, the entire experience is efficient, reliable, intelligent, and connected. Especially connected, as it allows you and your family to link both on and off the links.